How do I import an existing resume? To import an existing resume, first navigate to your resume dashboard. Once there, click the New Resume button. This will open a pop-up with options for creating a resume. 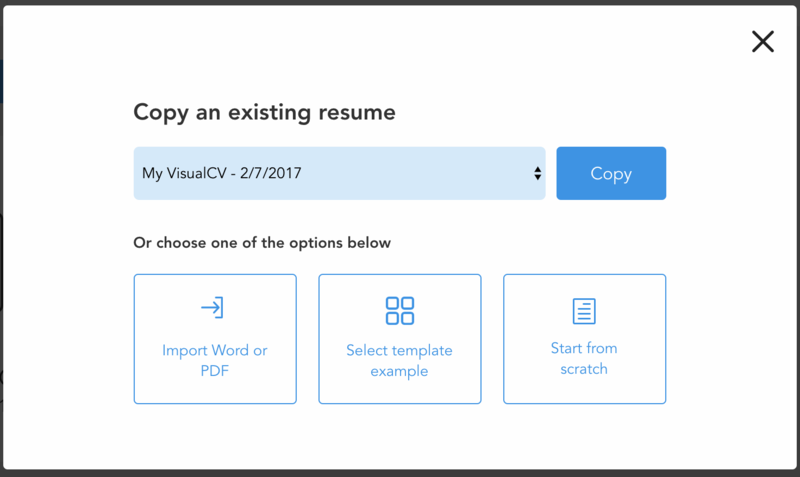 Click Import Word or PDF to import an existing resume. This will open an import modal. Click Select a file to upload from your computer, then click Create. The document will then be parsed and a resume with content from the document will be created. Please note that additional formatting will likely be required after the initial import.